We will discuss the process of finding an internship in the U.S. We'll help you prepare your resume and other documents, get ready for your search on social media, hone your networking skills and give you tips on applying and interviewing. 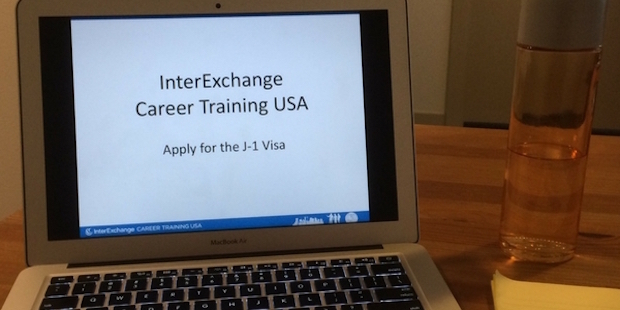 This session is all about applying for the J-1 visa. We'll tell you what you need to know about eligibility, InterExchange's application process and what happens once you're approved. There will be a question and answer period at the end of each webinar giving you a chance to ask InterExchange staff your questions directly. Sign up below. To attend the webinar, your computer will have to meet certain specifications.